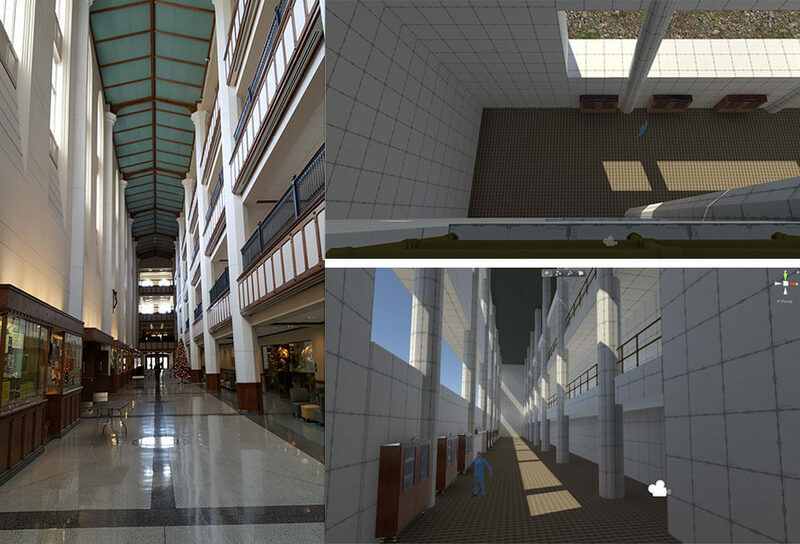 (Left) A photo of the first-floor atrium in Notre Dame’s Jordan Hall, as well as (top right) an early rendering of the view down from the third floor, and (bottom right) an early VR rendering of the first floor. 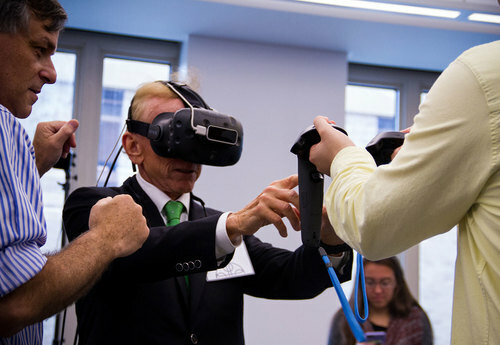 Another 50 participants will undergo a similar experience, using a VR headset to explore a virtual Jordan Hall — programmed by Villano, a research assistant professor in psychology and an expert in video game and robot technology. Richard Corbett — a Notre Dame alumnus who contributed the lead gift for Corbett Family Hall, the Department of Psychology’s new home — experiences the virtual reality system in September, with assistance from Notre Dame psychologist Michael Villano (left). 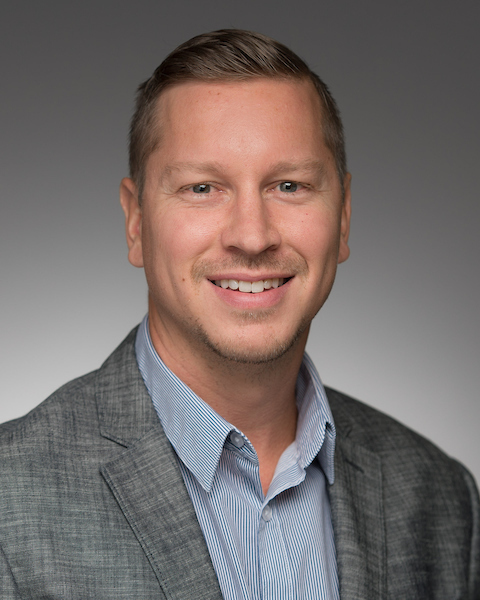 Originally published by Carrie Gates at al.nd.edu on February 27, 2018.